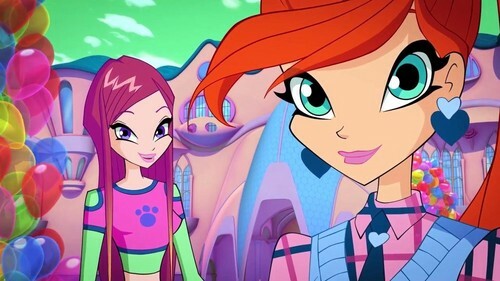 Season 7 : Roxy and Bloom. . HD Wallpaper and background images in the Winx Club club tagged: photo roxy season 7 bloom. This Winx Club photo contains anime, comic, manga, cartoon, comic buch, karikatur, and comics. UNIQUE!! Darcy & Bloom - "I can't lose Du again..."